Stelios Papadopoulos fights for the WBU welterweight title against Devis Perez in Greece ! The International WBU Welterweight title will be on the line when the Stelios Papadopoulos returns home at THE BATTLE 18 in Athens, Greece on April the 29th. New contract and team for greek boxer Kallia Kourouni in London ! Greek fighter Kallia Kourouni is ready for her next big step into professional boxing this time from London. Stauros Exakoustidis first Greek to fight in Japan for K-1 since Mike Zambidis! Mike Zambidis was the last greek athlete to fight for K-1 in Japan back in 2010 when he had the chance to meet Giorgio Petrosyan. Vladislav Genov, one of the most young promising MMA fighters from Bulgaria talked to ufight.gr about a future fight with Florian Marku in Greece. Sifu George Anagnostakos for photoshooting with great Actors and Martial Artists in Amsterdam! Sifu George Anagnostakos was invited the previous week by ''Hollywood Produksiyon'' and promoter Varol Porsemay to join his team in Amsterdam . Christos Papanagiotou plans to bring ‘GLORY’ for the first time in Greece ! After two successful events along with FFC, Greek manager and promoter Christos Papanagiotou is dealing recently with another big plan on his mind. Dimitris Chiotis makes the step : Wins by KO WKN International Title at ‘Brave Night 3’! Greek fighter Dimitris Chiotis had to face one of the biggest challenges when he stepped into the ring against polish Jakub Smigielski few days before for the 'Brave Night 3' event in Athens, Greece. Watch ‘Τhe Battle 16’ LIVE from Athens this Sunday on PPV! Now everyone, everywhere can watch the top greek fight show 'The Battle'LIVE on Pay Per View (PPV) on his computer or tablet. Spectacular ‘The Battle 15’ rocked it again in Athens! All the results! 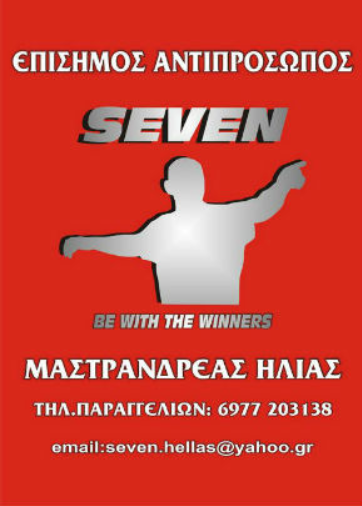 'The Battle Show' proved it again this past Sunday why is the best and leading fighting promotion right now in Greece as it held its fifteen edition in Taekwondo Indoor Hall in P. Faliro. Dzevad Poturak, one of the best kickboxers of the last decade and more talked to ufight.gr after his fight against Patrice Quarteron this past Thursday in Paris. Orsat Zovko and Christos Papanagiotou to launch the most expensive fight show ever held in Greece ! Greek manager and promoter of 'Kimbo Superfights' mr. Christos Papanagiotou join forces with the owner of the Fight Channel Group, manager and the President of the FFC mr. Orsat Zovko, who brought also big events such as 'K-1 WGP 2012' and 'GLORY 14' in Balkans and particularly in Croatia. Igor Pokrajac against Zauri ‘The Monster’ this Friday at ‘FFC 20’ in Zagreb ! The top Croatian MMA fighter Igor Pokrajac , a UFC veteran, has a new task to take care of this Friday in Zagreb at the main event of 'FFC 20' .